I put the Gospel in the context of four categories. And I’ve linked the four major aspects of the Gospel with each of the ultimate questions. If you wrote under category one, in terms of the ultimate question of origins, “I believe I came from a big bang billions of years ago,” you would write for the Gospel answer under that one, “I believe I was created by an infinite personal God in his image.” That would be their answer as compared and contrasted with the Gospel answer. The assumption now is that you have taken each of the four ultimate questions, and you have given your first shot, best shot at how they would answer the question of origin, the problem of evil, the question regarding hope or forgiveness, and the question regarding the afterlife or the future. 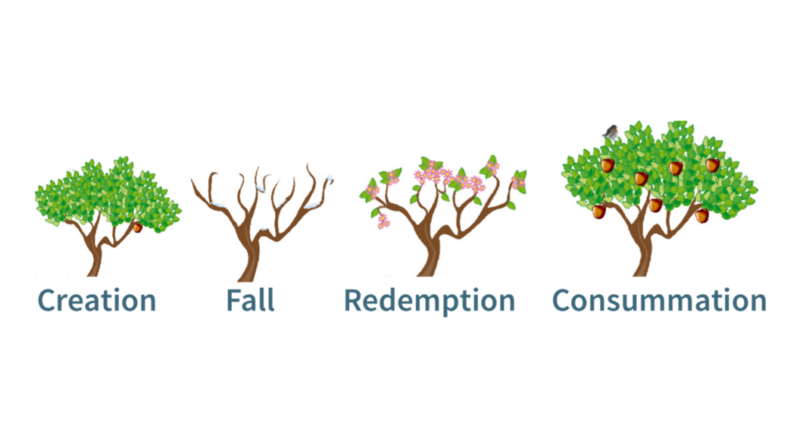 I’ve broken down the Gospel into four very classic, traditional categories: creation, fall, redemption, and consummation. Let’s look now at creation in terms of the Gospel. The good news is that God exists as a person who’s infinite and eternal. He is the creator, not just the creator, but he is also the sustainer. That’s creation and providence of everything as good. God has revealed himself in nature, in history, in Jesus Christ. God has revealed his will to us. He’s given us truth and morality in the Scriptures. God created us in his image with dignity to rule over his creation with joy. He is not just the creator of all things, He is also the sustainer of all things. The second one, the ultimate question of the problem of evil, suffering, and death, from a Gospel perspective, it would come under the concept of the Fall. All mankind is morally guilty because of sin, has a bad record before God. We have a bad standing before the heavenly courts. All mankind is morally corrupt because of sin. We not only have a bad standing before God, we have corrupt hearts now because of sin. All creation is fallen and depraved because of sin. The next area: redemption, the hope of forgiveness, acceptance, freedom. Here is the good news of the Gospel events. God in Christ was born. He lived a sinless life. He died a sinner’s death. He was raised from the dead, showing a victory over sin, over death, over evil, inaugurating a new era to come on the earth. He was ascended to the right hand of God. He now is ruling over all things until he returns again. God has now made Christ prophet, priest, and king over all. Jesus is now lord and savior. He is now lord, one who can demand submission to him. He is now savior, one who has the authority to bestow salvation on his people. God now promises in Christ that people can be forgiven. They can be accepted. They can be more than just right with God. They can become sons and daughters of God. They can have a new record. They can have a new heart, regeneration, freedom. We should put the Holy Spirit there in terms of regeneration. They can have a new set of propensities, a new power. God promises a new Heaven and a new Earth to come. That is, things are not the way they’re supposed to be, God has already broken through, we’re in a strange interim time that the kingdom has broken through in Christ. Yet, he will return and make all things new. Between now and then, we have a foretaste. We have an appetizer of what is to come. Our hope is in a celestial city to come. Life is fleeting, but there is real hope. Then this last one, consummation, the promise of future hope for tomorrow, again just kind of reiterating here, the kingdom has come. You have been delivered from sin’s penalty. The kingdom is coming. You are being delivered from sin’s domineering power. The kingdom will come. You and all creation will be delivered from sin’s influence and presence. There will be no evil, no suffering, no pain, no injustice, no death. Humanity will rule over God’s creation with joy. This is the way it’s supposed to be. This is the way it will one day be through Christ. You can taste it now. It’s the already and the not yet. Those little tastes are meant to be appetizers to cause you to long for his return. Our hope is in him coming and making all things new. What I want you to do now, go back. Look at these four ultimate questions about reality. 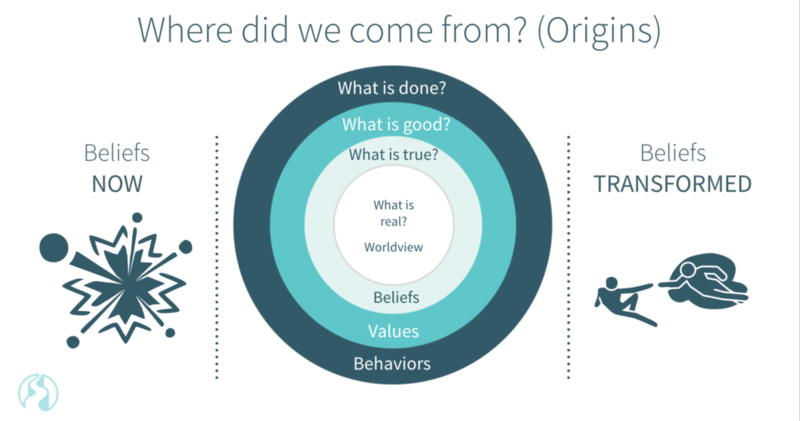 All of them fundamentally answering that one question, “What is real?” Look at each of the answers that you’ve recorded for each of these categories of origins, of the problem sin and suffering, the hope of redemption, and the hope of life eternal. I want you to write here, “What is good news to them?” There is a sense in which there is this good news that is general and monolithic for all humanity. In light of their culture and their unique brokenness and woundedness, which is displayed in how they answer these ultimate questions, what is good news to them? What is a superior answer that will be compelling and that will be attractive, or offensive in terms of the cross? Take this time now. List your Gospel answers. Sign Up for the Philosophy of Ministry Course!